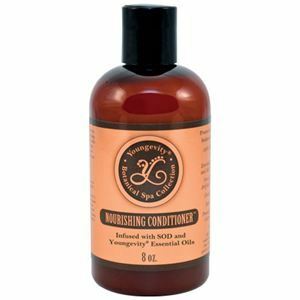 Soften and hydrate your hair with Youngevity’s Botanical Spa Nourishing Conditioner™, free of paraben, sulfates, artificial fragrances and dyes. 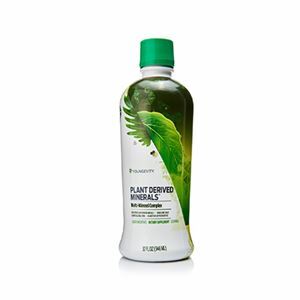 Youngevity’s Botanical Spa Nourishing Conditioner™ will soften and hydrate your hair naturally! With Avocado and Jojoba Oil, plus Silk Amino Acids our Nourishing Conditioner™ will leave your hair shiny; without weighing it down. Plus, Peppermint, Lavender and Chamomile Essential Oils will uplift and stimulate hair and scalp for a revitalizing spa experience! Water (Aqua), Cetearyl Alcohol, Behentrimonium Methosulfate, Cetrimonium Chloride, Propanediol, Persea gratissima (Avocado) Oil, Simmondsia chinensis (Jojoba) Seed Oil, Glycerin, Superoxide Dismutase (SOD), Tocopheryl Acetate (Vitamin E), Ascorbic Acid (Vitamin C), Organic Camelia sinensis (Green Tea) Leaf Extract, Organic Aloe barbadenis Leaf Extract, Organic Medica limonum (Lemon) Peel Extract, Urtica dioica (Nettle) Extract, Silk Amino Acids, Panthenol (Pro-Vitamin B5), Mentha piperita (Peppermint) Oil, Lavandula angustifolia (Lavender) Oil, Chamomilla recutita (Chamomile) Oil, Phenoxyethanol, Capryl Glycol.